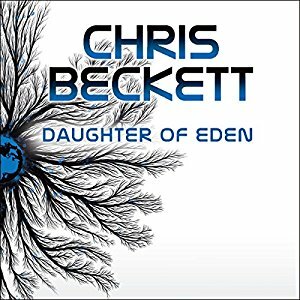 Daughter of Eden is now out as an audiobook from Audible. It’s read by Imogen Church and, listening to the sample, I think she’s done a really wonderful job of it. I felt I was listening to Angie Redlantern herself telling the story. Which was a strange and rather moving experience, given that Angie (possibly my favourite Eden character) came out of my own head. Click on this link for the free sample and judge for yourself. It was amazing! Imogen Church really did a great job and you did a great job forming Angie into such an incredible, understandable character. Just finished Daughter of Eden and loved it. Will there possibly be a fourth book in the series? Possibly “Return to Eden”. No plans for a fourth book, Douglas. Probably best to stop while there are still people out there who would like one! I think at some point I might try a short story collection set on Eden, with stories set in the gaps between and before the three novels. But we’ll see! So pleased you liked DoE. I have a soft spot for the book myself.